I’m now working for Amazon.eu at their EU headquarters in Luxembourg as a communications & media intern, on a variety of social and multimedia projects. Not content with the vast amount of work this entails I’m launching a new website: www.eccentric.lu! Update – Since I moved to Ireland I’ve unfortunately had to put this project on hold. However I may revist the project at a later stage, so sign up here if you’d like to get an e-mail notification should it go live again! 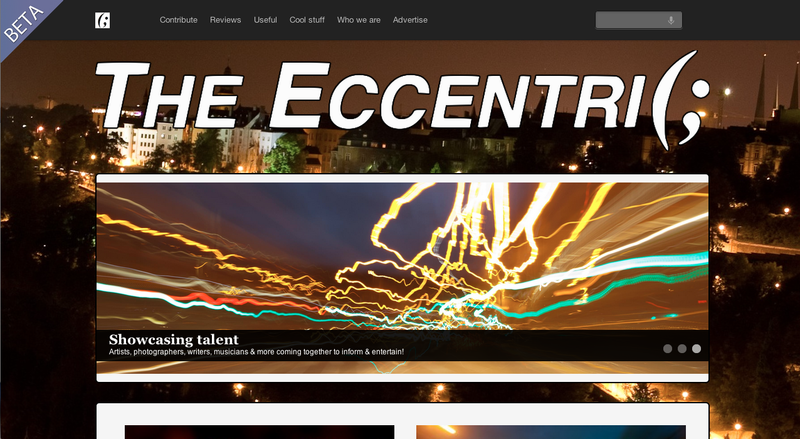 The Eccentri(; , named after a school newspaper I used to run, will be all about Luxembourg talent, events and reviews. Rather than simply running a reviews or an events website I intend to focus on showcasing the skills of the people contributing to the website as much as on the content itself. So far, despite the heavy workload involved, it’s been great fun getting it to BETA and I only hope I can attract enough interest to make it a success!